We understand that your business has needs so we provide a range of products and services to help you meet them. Whether it's Marketing, Printing, Mailing, or Fulfillment services you need, MidWest MailWorks has two locations to serve you. In Rockford, IL @ 2136 12th St, or Rock Island, IL @ 218 3rd Avenue, we are ready to go to work for you. Be sure to check out our new Design Wizard where you can build your brand in as easy as 1-2-3. Although our tool offers multiple industry specific templates to choose from, if you don't see exactly what you're looking for, we would love to help you with a custom project. Request an estimate today! 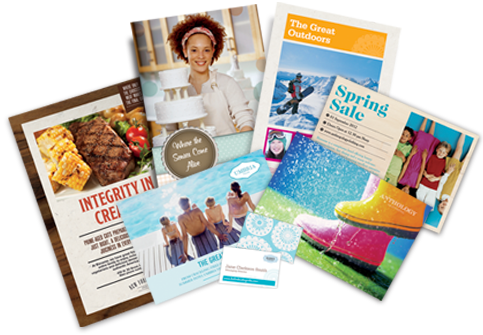 To learn how MidWest MailWorks is helping businesses like yours increase response rates, generate more leads, retain & nurture existing client relationships and integrate multiple marketing channels, ask about our "SMARTcast" Marketing System..
With professional design and printing, your brochures are sure to sell. From the big idea to the small details, our Design Wizard will help you get the job done. It's time to deliver a stronger campaign. In an increasingly cluttered mailbox, standing out is more important than ever. Fortunately, our Design Wizard will enable you to grab your prospects attention. Don't miss out on the creative postcards that we have to offer. Use this Design Wizard to get started. It's about more than staying in touch; it's about staying on top. With bold designs and vivid color, Our Design Wizard will help you create great newsletters to make an instant impression.